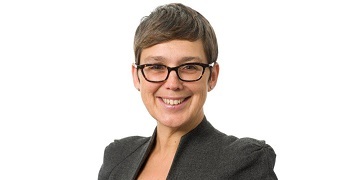 Speech by Megan Butler, Executive Director of Supervision - Investment, Wholesale and Specialists at the FCA, delivered at The Pan Asian Regulatory Summit 2018, Hong Kong. It is imperative that we don’t slip into a model of fragmented regulation, with competing philosophies and regulatory agendas. The best option for promoting economic security is to build on the work that’s been done since the financial crisis to improve international engagement. The FCA and Securities and Futures Commission in Hong Kong reach an agreement on the mutual recognition of funds. Funds in Hong Kong will find it easier to market to UK customers if they can demonstrate broad equivalence, or equivalent outcomes to our own retail fund rules, with UK businesses having the same access to Hong Kong. As you may be aware, we passed an important anniversary this week. Ten years ago, central banks around the world co-ordinated a cut in interest rates. I mention it today because I want to talk about the value of international co-operation. A topic that is high on the agenda of financial services. The FCA itself is a strong advocate for open markets in financial services, as well as cross-border working and broad equivalence based on similar outcomes. We view this kind of approach as the world’s best and strongest defence against protectionism and regulatory arbitrage. We also see it as integral to economic stability, growth, customer protection, effective competition and efficiency. As you might imagine, this means that we tend to engage very closely with other regulators. Including the Securities and Futures Commission (SFC), Hong Kong Monetary Authority (HKMA) and the Insurance Authority (IA) here in Hong Kong. A point that I’ll return to shortly. But I need to start this morning with an acknowledgment that this is a complex period for global policy making. For a long time, there has been strong international consensus around the value of cross-border co-operation. The geo-political environment today is materially less predictable. Meaning questions are emerging around the security of that consensus. This obviously effects different jurisdictions and sectors in different ways. We know that asset managers, for example, are keen to make sure Brexit doesn’t disrupt their ability to service clients, or to offer global investment opportunities. Including by delegating portfolio management activity. The FCA position here is that Brexit does not need to disrupt delegation at all. It is a well-established international convention. And we were pleased Stephen Maijoor, the Chair of European Securities Markets Authority (ESMA), recently spoke about the need for memorandums of understanding (MoU) between the UK and EU authorities. My key point is this though, it is absolutely imperative that we don’t slip into a model of fragmented regulation, with competing philosophies and regulatory agendas. The best option for promoting economic security, by many orders of magnitude, is to build on the work that’s already been done to improve international engagement. So both the FCA and the SFC, for example, are active participants at International Organisation of Securities Commissions (IOSCO), under Ashley Alder’s excellent chairmanship. Supporting its work to create common global standards. We’ve also worked very closely on issues like liquidity management and leverage in funds. We’ve also, of course, seen significant steps taken since the crisis around the construction of global frameworks for safer, more resilient markets. One way of doing that is events like this that help us turn technology against criminals. Another is to recognise the value of data. My plan this morning is to look at both points. But let me start with data because it is integral to understanding the nature of challenge we deal with. So we are pleased that the FCA, and the SFC, were yesterday able to announce a memorandum of understanding around the mutual recognition of funds. The first of its kind for the FCA. The agreement essentially helps funds in Hong Kong to market to UK customers if they can demonstrate broad equivalence, or equivalent outcomes to our own retail fund rules, with UK businesses having the same access to Hong Kong. At the moment, UK Undertakings for Collective Investments in Transferable Securities (UCITS) operated by UK management companies that can meet the eligibility requirements set out in the MoU will be eligible to apply. In Hong Kong, an equivalent framework is in place for funds including general equity funds, bond funds and mixed funds, as well as certain feeder funds and exchange-traded funds. And we think this is a significant agreement for a couple of reasons. The first is that it potentially offers customers a more dynamic market. Meaning we expect investors to benefit in terms of greater diversification across portfolios. In total, we think around 500 Hong Kong funds might be eligible to apply. The figure in the UK is higher, with around 2500 UCITs funds potentially eligible. The second point is that qualifying funds will gain easier access to UK and Hong Kong markets. So, for example, we expect the agreement to cut UK recognition times from around 6 months to 2. Thanks to a streamlined application and review process. It is worth stressing at this point, that both the FCA and the SFC regulate jurisdictions that are large net exporters of financial services. Both are also used to co-operating with other regulatory authorities. So this made yesterday’s announcement a natural starting point for the FCA. And the FCA will work with the SFC to make sure the agreement benefits funds seeking approval, as well as investors and savers. We see this agreement as an important example of supporting open markets by recognising each other’s rulebooks and supervision. Meaning it is the beginning of the sort of approach we want to take in the future. Open markets are the key way to ensure competition and choice over the longer term. And I spell this out make a very specific point. The FCA has applied its consumer protection and competition mandates extremely rigorously in our regulation of funds. As you may know, we published the final findings of our asset management market study last year. The topline is that we found evidence of weak price competition in the industry, with no real link between price and performance. So average profits margins stood at 36% among the firms we sampled. And we found price clustering in active equity funds, with a lot of them priced at 1% and 0.75%. We also found around £100bn invested in actively-managed funds that were performing no better than trackers. But were charging a lot more for that performance. I’ll make two points here. First, a general observation on the responsibility of fund managers, which you can equate with duty of care to customers. For a number of years, the FCA pointed out that while portfolio managers work very hard to produce the expected return for their clients, some of the structural aspects of pricing and profit were at odds with the best interests of customers. So we’re talking about issues here such as the use of dealing commissions, free research for trading with firms, best execution oversight and box profits. The market study, and our final remedies, pointed these issues out and I think the fundamental point to make is that when industry participants believe that their interests are aligned with those of their customers, just remember that this is only to the point before they earn their fees. When people use the term ‘fiduciary responsibility’ that means all their fees must be justified. They shouldn’t be earning money from clients’ assets just because it is convenient. The challenge to the industry, not just in the UK but around the world, should be to live up to as high a professional standard as possible. The belief that in carrying out your duty of care to clients, you can assure them that you’re making money for the expertise you have built up in your firms. My second comment is about value-for-money. There was a time when portfolio managers who couldn’t produce double-digit returns were considered failures. But fees were not the issue in those days that they are today because inflation was much higher and alpha was easier. Circumstances have changed, interest rates are low, in Europe and the US anyway, and the context has evolved. ...the strongest financial centres – the UK and Hong Kong included – do still deliver returns and support end investors. A point exemplified by the growth rates of the assets under management of asset managers that we authorise each year. Countries like the UK and China have ageing populations. Meaning there’s unprecedented emphasis on securing the best possible returns for customers who are likely to enjoy long retirements. The good news here is that the strongest financial centres – the UK and Hong Kong included – do still deliver returns and support end investors. A point exemplified by the growth rates of the assets under management of asset managers that we authorise each year. The 2016 cohort of newly authorised firms grew their assets under management from £41.5bn to £79.2bn in 2017. A 90% increase. The 2015 cohort grew their AUM by 380% over two years. I should end by clarifying an important point though. The FCA is interested in making the market work better for our consumers. Just as the SFC is in Hong Kong. So our statutory objective is not to increase the competitiveness of the UK. That said, we know that high functioning, clean, safe, global markets do tend to create an environment that is attractive to investors and the best firms. This is why asset managers and funds have come to the UK in the past. And it’s why they come today. The FCA authorised 342 new asset management firms between 2016/17 and 2017/18. But we do need more than a few global financial centres to work together. The world has seen a wave of global issues emerge over the last year. Spanning issues from technology and uncertainty in international politics, to financial crime and heightened security risk. These global challenges require global responses and co-operation. So it is an imperative that financial centres like London and Hong Kong, which share very similar journeys and attitudes to global leadership, continue to grow closer.